Toyota Florida. 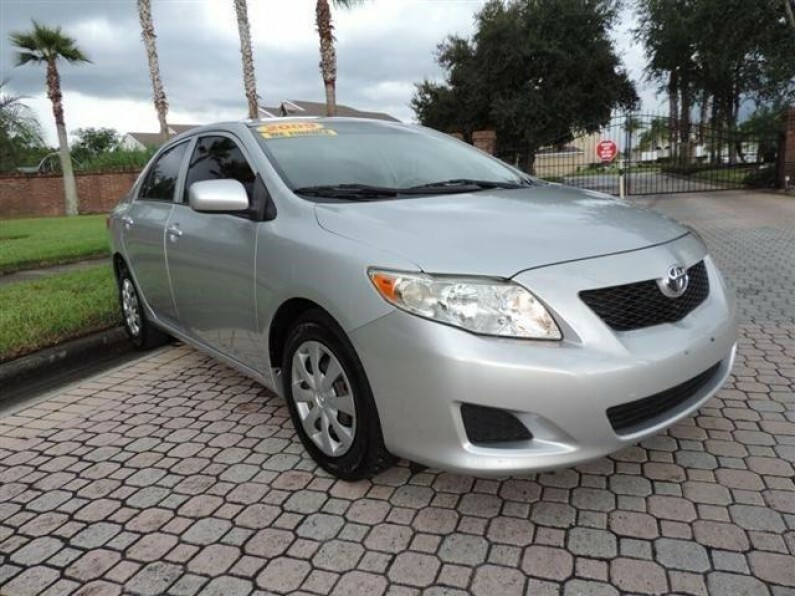 This 2009 Toyota Corolla LE is up to date. This car runs nice and smoothe. Motor and transmission feel so well in the car. 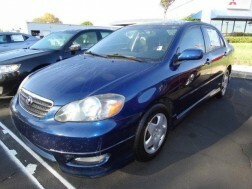 This Toyota Corolla comes with a 4 cylinder motor with a EPA of 22 mpg. This car has an automatic transmission and shifts so smoothe. 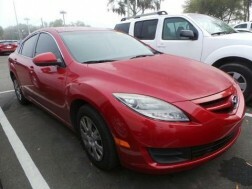 The exterior of the car is in great condition with no scratches or dents and a nice shine to it as well. The interior of the car just like the exterior is in great condition and everything is in tact. The interior is super clean and the car has power windows power locks and power mirrors. 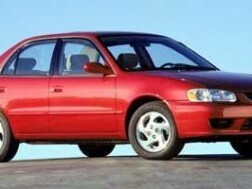 This car all in all is in great conditon and its a great gas saver and a really nice car to look at. ****WE MAKE FINANCING EASY. AS LONG AS YOU HAVE A VALID DRIVERS LICENSE (ANY STATE OR COUNTRY) AND A JOB...YOU ARE 100% APPROVED NO MATTER WHAT THE SITUATION MAY BE!!! INTEREST RATE STARTING AS LOW AS 1.99% 0 DOWN W.A.C...FIRST TIME BUYERS WELCOMED! BEST PROGRAM IN CENTRAL FLORIDA. BAD CREDIT NO CREDIT NO PROBLEM EVERYBODY RIDES. DOWN PAYMENTS STARTING AS LOW AS $995.00. TRADE-INS WELCOMED. 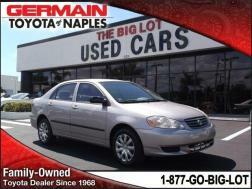 WE HAVE ONE OF THE LARGEST INVENTORIES OVER 80 CARS TO CHOOSE FROM. CALL NOW 407-483-1180 FOR MORE INFORMATION OR VISIT www.rikersinc.com 2776 N Orange Blossom Trial kissimmee FL 34744...must finance with Rikers&apos;s Auto Financial through primary finance institution and must have trade in to qualify for advertised pricing. 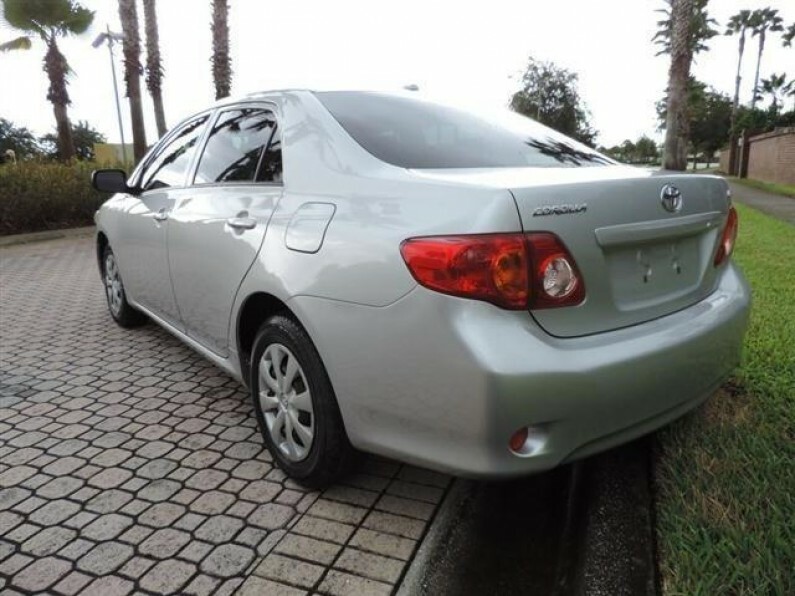 Autos usados Toyota Corolla Kissimmee. 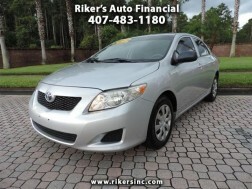 Used cars Toyota Corolla 2009 Carros en Florida.Toyota Corolla 2009. Autos usados Florida. 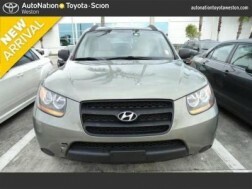 Venta de autos usados Floria, Kissimmee. 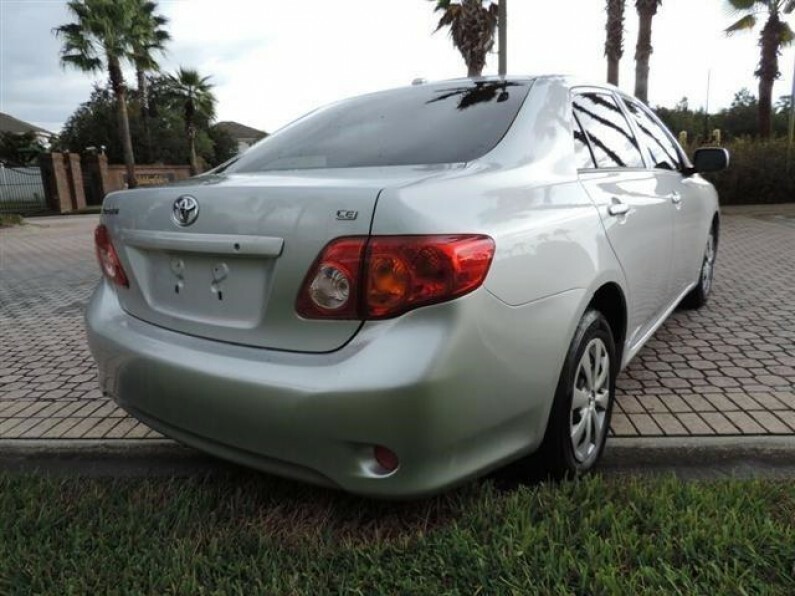 Venta de Carros Toyota Corolla en Florida.